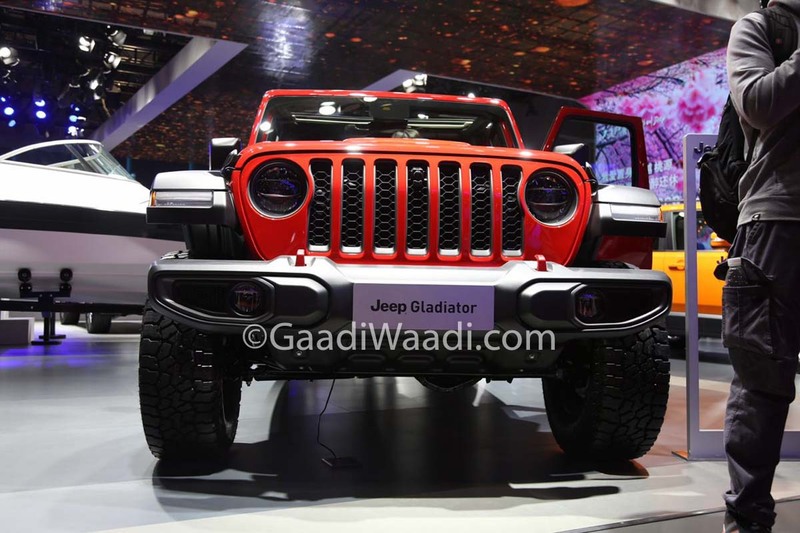 The new generation Jeep Gladiator made its global debut at the 2018 Los Angeles Auto Show last November and it has since been entering markets across the globe including the United States. 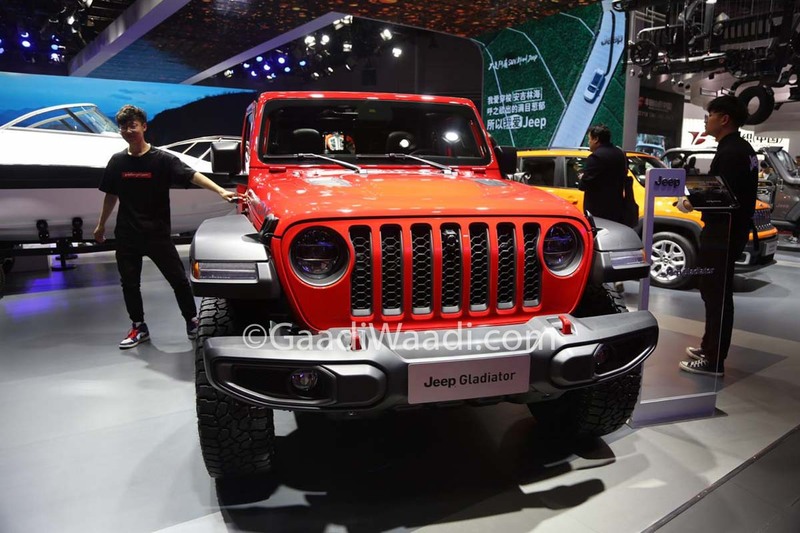 Earlier this month, Jeep revealed prices of the Gladiator in the US and now it has been showcased at the 2019 Shanghai Motor Show. 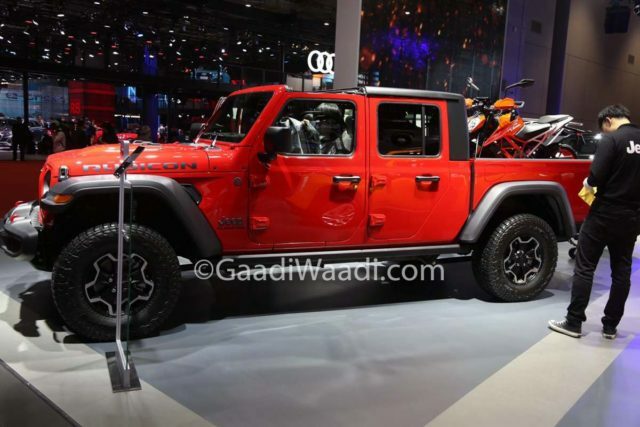 The 18th edition of the motoring exhibition has seen Jeep bringing in one of its much loved mid-size pickup truck to action. The first pickup from the brand since the Comanche was discontinued back in 1992 can be had in multiple variants including the base Sport, mid Overland and top-spec Rubicon variants. Each trim can be had with the option of hard top or soft top roof. 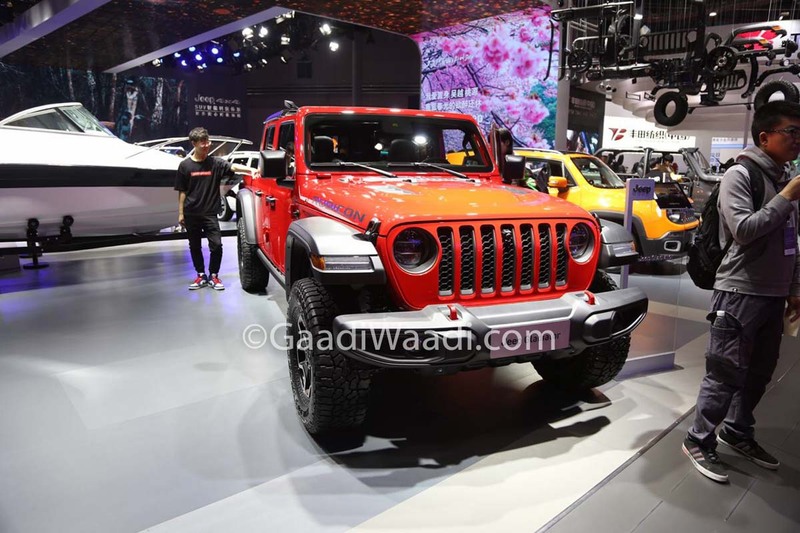 As part of the launch celebration, Jeep has also prepared a Launch Edition but its production has been limited to just 4,190 units. It offers dark interior theme with contrast red stitches, 33-inch Fallen Wildpeak All-Terrain tyres, forged aluminium tailgate badge and instrument panel with Monaco silver trim among others. The low-level Gladiator Sport features roll-up windows, 17-inch wheels, halogen headlamps and manual door locking as it is pretty basic. However, stepping up the variant range, more features are offered as it gets optional LED headlamps, two-zone automatic climate control, all four power windows, bigger 18-inch and so on. 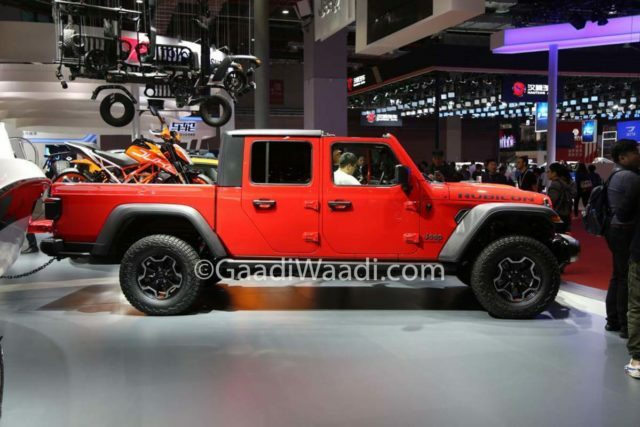 The top-of-the-line Rubicon focusses on providing a better off-roading package as it comes with tow hooks, off-road camera option, all-terrain rubber, 17-inch polished wheels, etc. All the variants are sold with low range gearbox as the 3.6-litre V6 powertrain produces 285 horsepower and 352 Nm and is mated to either a six-speed manual or an eight-speed automatic. The Rubicon-spec Gladiator has been showcased in Firecracker Red colour with black fender flares, door handles and wing mirrors at the Shanghai show. Other paints schemes available are Black, Granite Crystal Metallic, Bright White and Billet Silver Metallic.